Size of this preview: 407 × 599 pixels. Other resolutions: 163 × 240 pixels | 3,784 × 5,568 pixels. 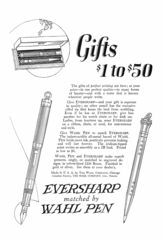 Scansione di una pubblicità Eversharp datata 1922-12. Pubblicata su: The National Geographic Magazine. Data indicata dal fornitore. Pubblicizza un set penna/matita Wahl Engine Turned da signora, nella lavorazione Colonial e Grecian Border. Ritoccata dall'autore per una migliore nitidezza. 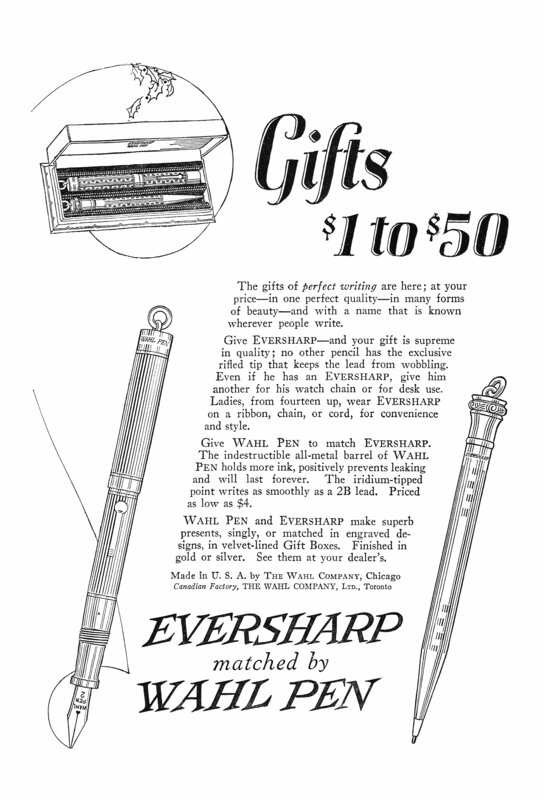 Scanning of advertising from Eversharp dated 1922-12. Published on: The National Geographic Magazine. Dating given by the provider. Advertising for a Wahl Engine Turned lady pen/pencil set, Colonial and Grecian Border pattern. Retouched by the author for a better sharpness. This page was last edited on 10 May 2017, at 23:53.